Accept no compromise when it comes to maintaining, servicing, and caring for your Freightliner Truck. 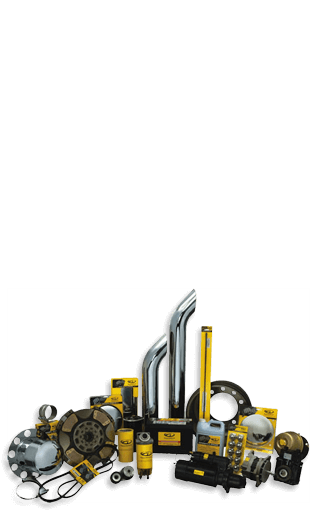 When you need new parts for your Freightliner truck, always insist on Genuine Freightliner Parts to keep your truck running as efficiently and smoothly as it did the day it left the factory. These parts are made specifically to fit your truck model and application needs, using only the highest quality materials and latest design and engineering enhancements. Thanks to our Genuine Freightliner Parts, every part of your truck remains a genuine Freightliner for years to come. 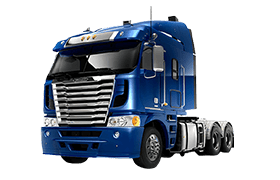 Why buy Genuine Freightliner Parts? Ensure durable and reliable repairs, since Genuine Parts are made from the highest quality materials with specialised coatings and treatments. Maintain the resale value of your truck by keeping it a "Genuine Freightliner". Improve uptime by ensuring quality repairs are performed by factory-trained experts that get the job done right, the first time. Provide optimal performance, as Genuine Freightliner Parts are made specifically to fit each individual truck and application. There is no "one size fits all" solution with Genuine Parts. Receive the latest proprietary updates and revisions from Freightliner, a level of service that our competitors simply cannot match. Download our brochure to find out about all the reasons why it makes sense to buy and fit Freightliner Genuine Parts. Alliance Truck Parts will not compromise on quality and safety when it comes to parts for heavy commercial vehicles. All Alliance Truck Parts meet or exceed original equipment supplier specifications for quality, fit and finish, and are backed by a nationwide 12 month/100,000 km warranty.